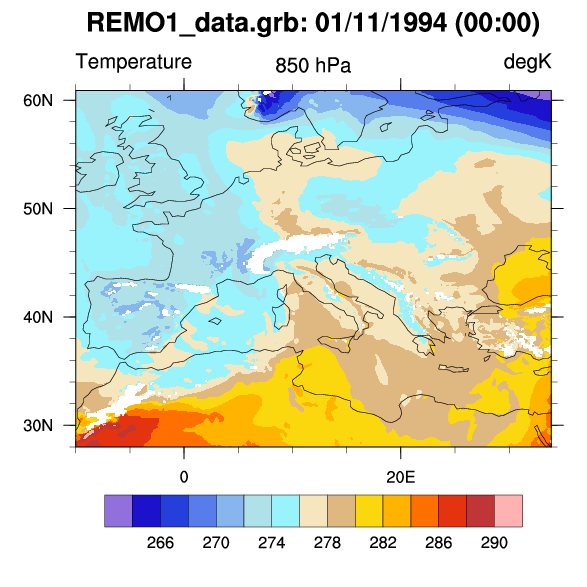 REMO is a regional climate model created as a joint effort by several German research groups (eg: MPI for Meteorology, DKRZ, DWD, GKSS). A primary focus is concentrated on the hydrological components of the water cycle. GRIB file is coming from. IMPORTANT NOTE: THE DATA VALUES ARE CORRECTLY UNPACKED. 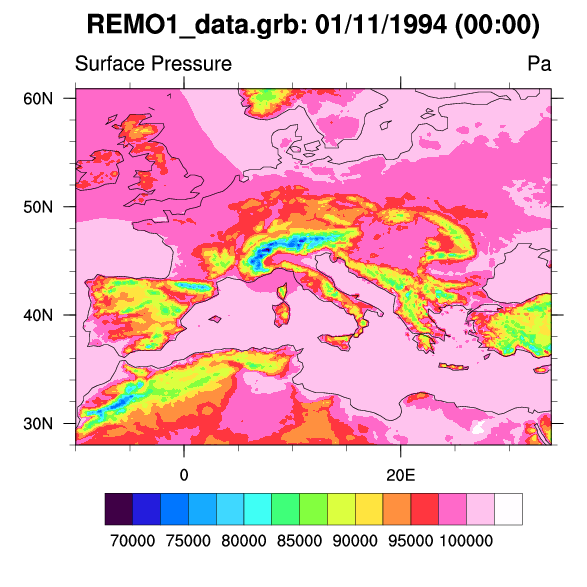 However, the user must manually provide the appropriate information by looking at the REMO GRIB table. 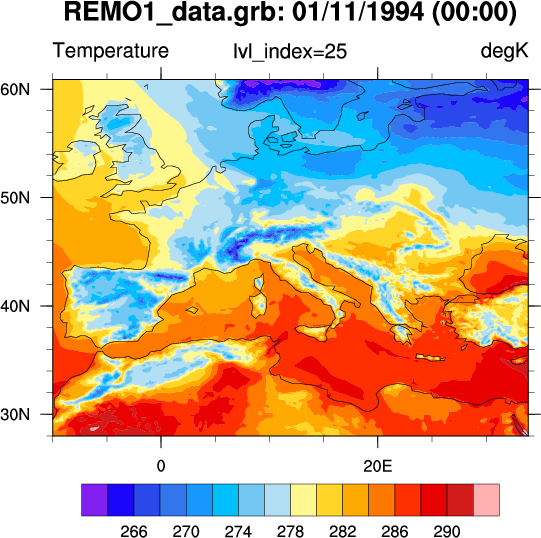 See Example 2.
remo_1.ncl: Read and plot a variable from a REMO file. 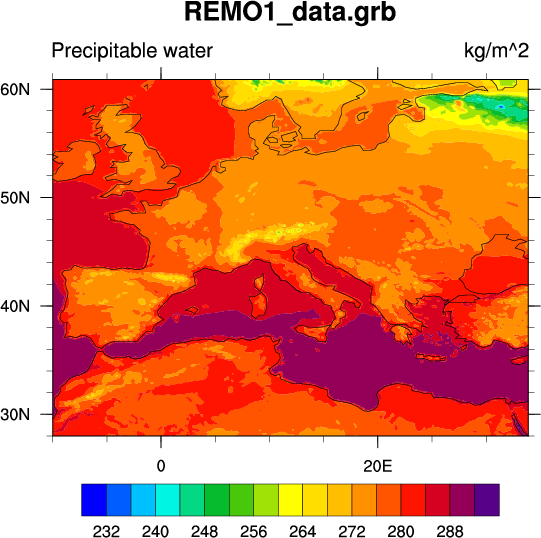 remo_2.ncl: Read a variable for which a warning message was issued and manually add meta data by looking at REMO3_WRF_Vtable. Here "VAR_130" is read and level 25 is plotted. Note there is no information to indicate the actual level used.